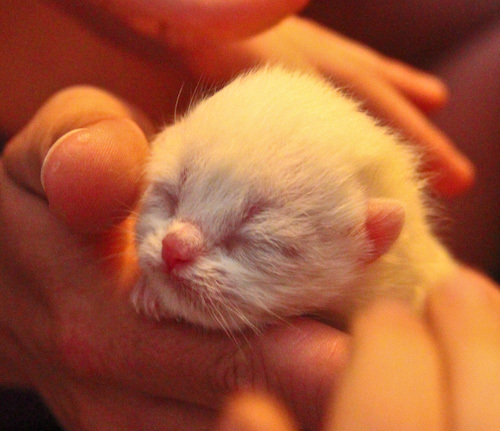 Friends had kittens on the weekend — or rather, their cat had. We’ve enjoyed brief visits to look at the kittens and learn about them. 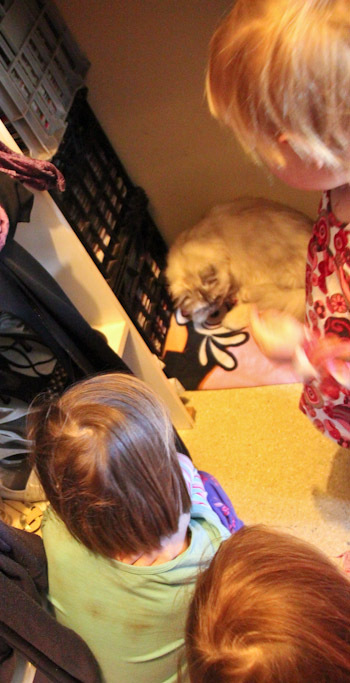 We all crowd together into the walk-in wardrobe to look at the litter of five kittens. 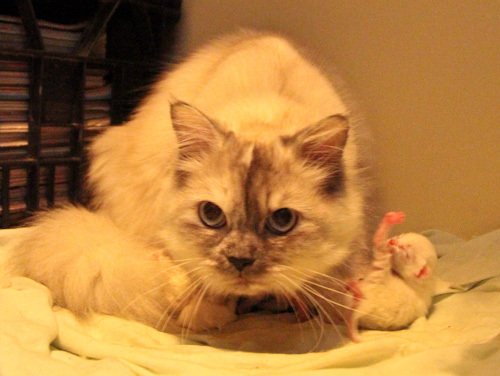 Sapphire watches us intently as we try to get a closer look at the kittens. She's a persian and the father is an exotic. 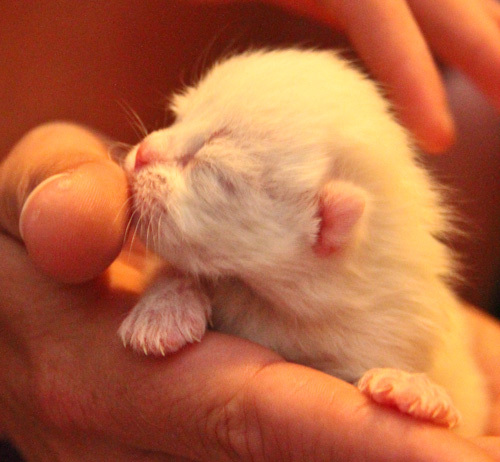 At two days old, the kittens' eyes aren't yet open, and we're unable to tell whether they'll manifest exotic or persian traits. Pink nose, ears and paws make the kittens so cute! It won’t be until the kittens are closer to six weeks old that it’ll become apparent which have exotic traits and which have persian characteristics. If you are in the Brisbane area and are interested in buying a special kitten from a breeder, you can contact Carado Exotics and Persians. Oh they are so sweet. Dearie me, even kittens are making me clucky! I find your blog and your lifestyle very interesting. I certainly understand your philosophy but i do wonder when do you pay back. I see others being so generous to you. they let you stay with them, fix your van, entertain you but what do you do for others? Please don’t take this as an attack. It is not meant that way. It’s just the picture I get is a one way street where others help you. You would do best to ask the people we stay with what we do to contribute. Sometimes I have blogged about ways we help those we visit, but mostly I don’t — it varies with every family and their needs at the time.